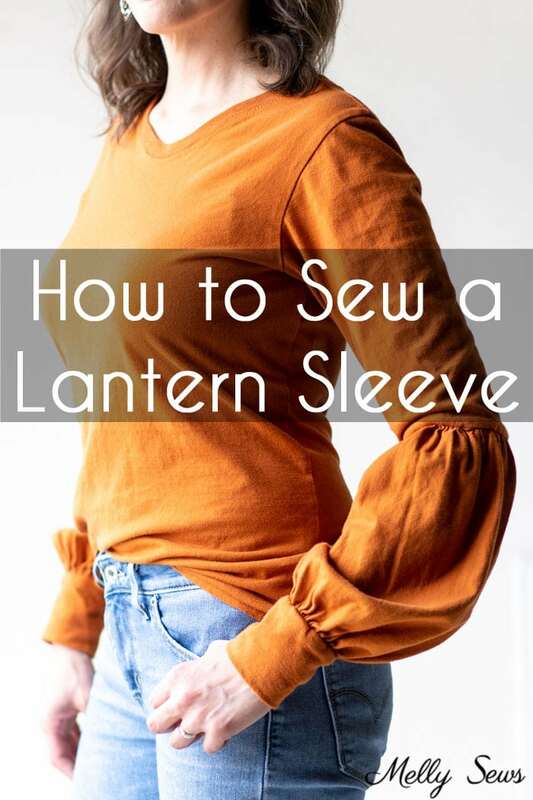 Add a pretty lantern sleeve detail to your t-shirt. A variation on a bishop sleeve, it’s sure to make your basic t-shirt less basic. Hey y’all, today’s t-shirt hack is one you can do on any knit sleeve. I first saw this look on a sweater, before I knew what it was called. The most common name I’ve found for this sleeve type is a lantern sleeve, though I’ve also seen it called a bishop sleeve or a balloon sleeve, and both those sleeve names will bring up this type of sleeve on image search, so I think you can call it whichever name you like. I liked the way this sleeve hack turned out so much that I made a shirt with the same type of sleeve for my mom for Christmas. Hers is below. 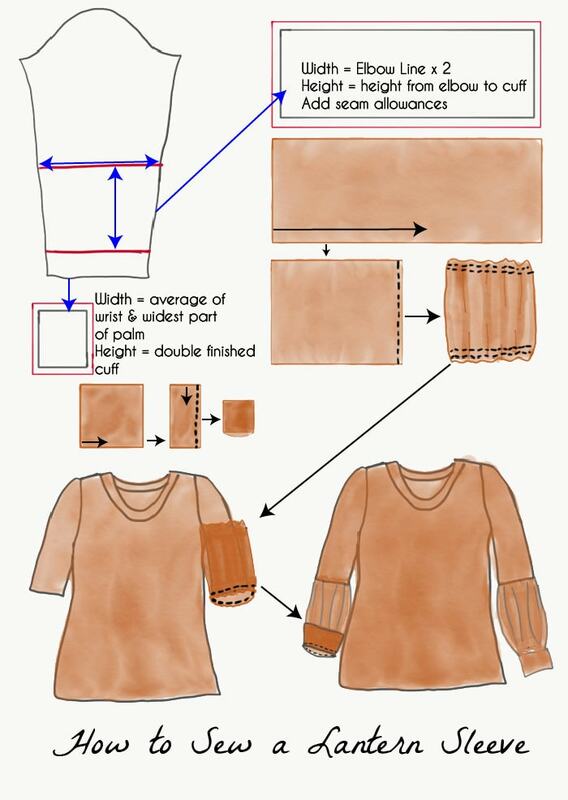 I added this sleeve hack to my Austin T-shirt pattern, but you could do this on any knit shirt pattern. To show how to make this sleeve, I made a video which you can watch below or on YouTube here. Written instructions below the video. 1. Mark the elbow and cuff lines on your sleeve piece. 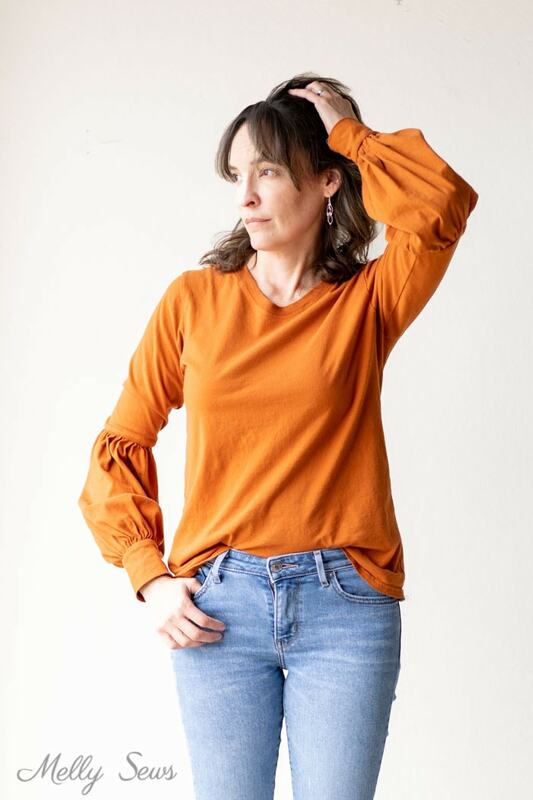 On mine, I used the elbow cutting line already marked on the pattern, then did a 2 inch cuff for the blue version of this shirt and a 3 1/2 inch cuff for the orange version. 2. Measure the vertical distance between your two lines and measure the horizontal distance of the elbow cut line, minus the seam allowances. 3. Make the forearm pattern by drawing a rectangle that is two times the elbow measurement in width and the vertical distance from the elbow to the cuff. Add seam allowances all around this rectangle. Cut 2. 4. Make your cuff pattern by measuring your wrist and the widest part of your hand and averaging these two numbers. Draw a rectangle that is the average number in width and double the height of your finished cuff. Add seam allowances all around this rectangle. Cut 2. 6. Fold forearm piece right sides together matching short ends, stitch short end. Repeat with other piece. 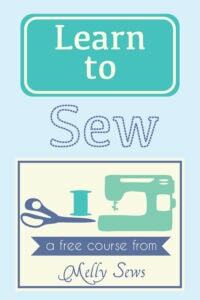 Sew two lines of stitching at top and bottom of each tube using elastic thread in your bobbin. 7. Place forearm piece around an arm, right sides together, matching seams. Stitch, using a stretch stitch. Repeat with other sleeve. 8. Fold cuff piece right sides together matching side edges, stitch side seam. Repeat with other piece. Fold each cuff in half wrong sides together, enclosing seam inside. 9. Place cuff piece around a forearm, right sides together, matching seams and aligning all 3 layers of raw edges. Stretch the cuff to fit the forearm. Stitch, using a stretch stitch. Repeat with other sleeve. This is such a cute idea. Thanks. 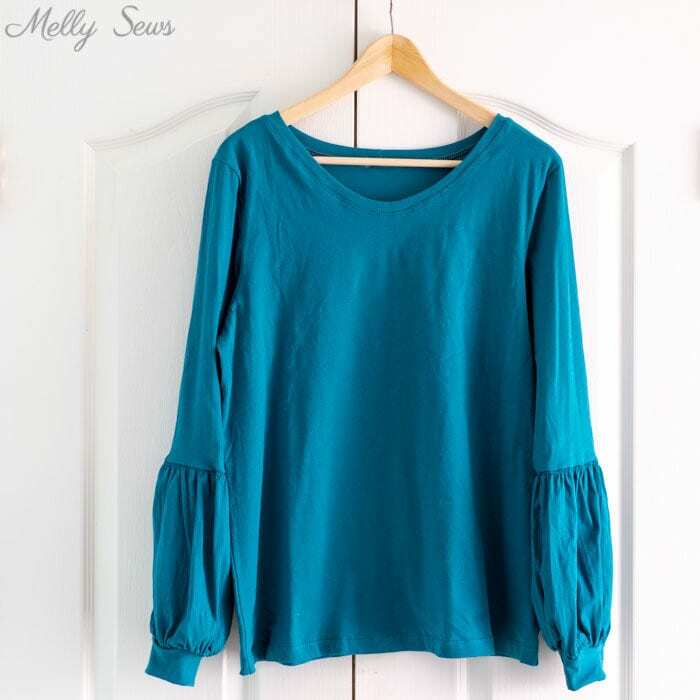 Couldn’t you add this cute sleeve to a woven top too? I love the extra 1 1/2″ in length in the cuff on the orange T-shirt. I really notice the difference and I think it balances the entire sleeve out nicely! Thank you for sharing this tutorial. I just love your creativity! 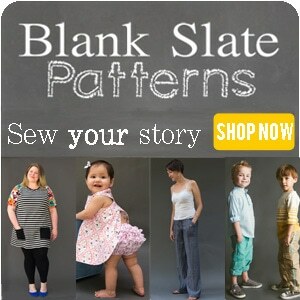 You are always on trend! Also…Happy your move is finally over! YAY!